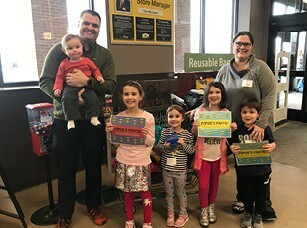 Grocery Store Scavenger Hunt for Popsie's Pantry | Jewish Federation of Greater Indianapolis, Inc.
Unscramble these words to complete your shopping list. It's not a food but EVERYBODY needs it. Can you guess what the most popular item is at Popsie's Pantry? Copy the letters underlined in blue in the cells below to answer this question. _ _ _ _ _ _ _ _ _ _ _! Do you have all 12 items? Let's see! All purchased items can be dropped off at Jewish Family Services (6905 Hoover Rd., Indianapolis) to be donated to Popsie's Pantry. Questions? Call 317-259-6822 or email rkatz@jfgi.org.